Game dev veterans Amy Hennig and Rieko Kodama were also honored with the Lifetime Achievement Award and Pioneer Award (respectively) during the Game Developers Choice Awards tonight at GDC 2019! 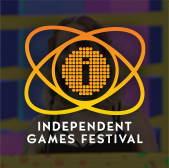 Announced tonight, the 2019 IGF Awards featured an eclectic and impressive group of winners, from Lucas Pope's Return of the Obra Dinn to Cassie McQuater's Black Room and Zachtronics' Opus Magnum! Media Molecule, Hello Games' Sean Murray, and industry veteran Laralyn McWilliams will be part of this inspiring GDC Main Stage event (which will also be livestreamed!) next Wednesday at 12:30 PM PDT! PSA: Know and abide by your GDC 2019 Code of Conduct! As you lock in your plans for GDC in San Francisco next week, take time to review and commit to the Code of Conduct, which applies to everyone at the show! Come to GDC for an inside look at the AI built to playtest Battlefield V! Come to GDC next week to learn about the birth of AutoPlayers, autonomous bots used for playtesting Battlefield V in scenarios ranging from full 64-player soak tests to specific scripted test cases. Ahead of the big show next week, GDC organizers share what they've been doing to try and make it a more sustainable, environmentally-friendly event! 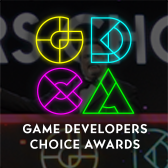 Here's where to watch the IGF & Game Developers Choice Awards next week! If you can't attend in person, don't worry: the sequential award shows will be livestreamed on Twitch next Wednesday (March 20th) starting at 6:30 PM PDT. It's always a fun, upbeat show, so don't miss it! 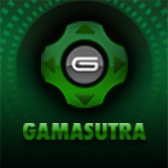 Follow Gamasutra's GDC 2019 coverage right here! At GDC 2019 next week some experienced indie studio leaders from Kitfox, Temple Gate, and Anemone Hug will share useful advice on how to run a small game studio without a surprise, breakout hit! There's a smorgasbord of great career-building opportunities available to you at GDC 2019, including the popular Game Career Seminar and the Career Development Stage! Don't miss all these great Classic Game Postmortems at GDC 2019! Catch these promising, in-depth game dev postmortems of the Panzer Dragoon series, Paperboy, Lemmings, and Command & Conquer at GDC 2019 next week in San Francisco! Come to GDC for a behind-the-scenes look at Pokemon GO's PvP combat design! Learn why Niantic chose to build this new PvP feature at this point in the game’s lifecycle (and what decisions were made to make the feature true to its roots in the Pokemon franchise) at GDC 2019!